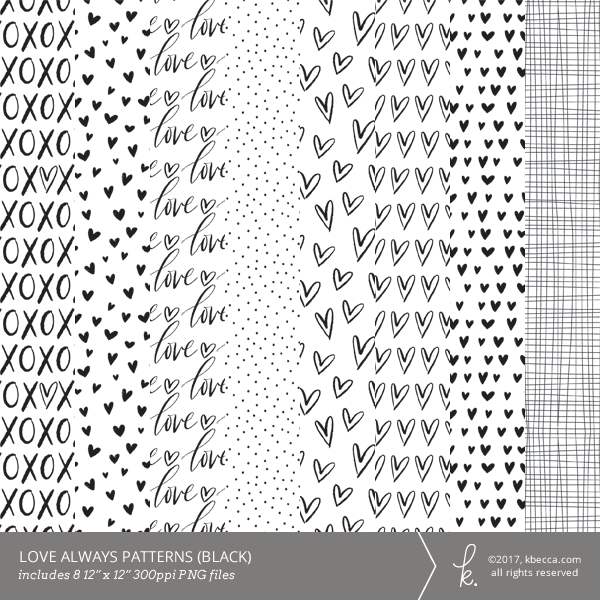 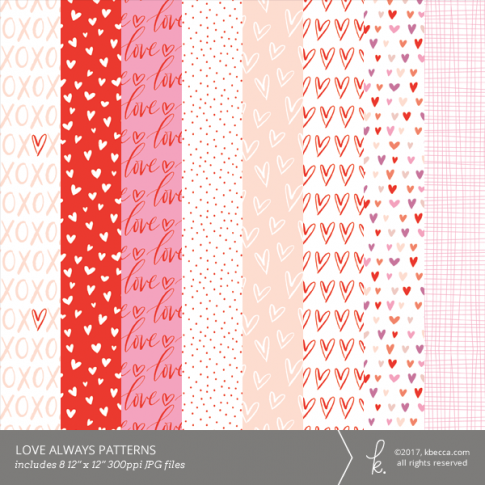 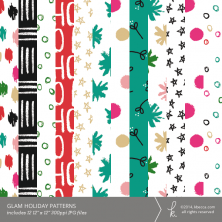 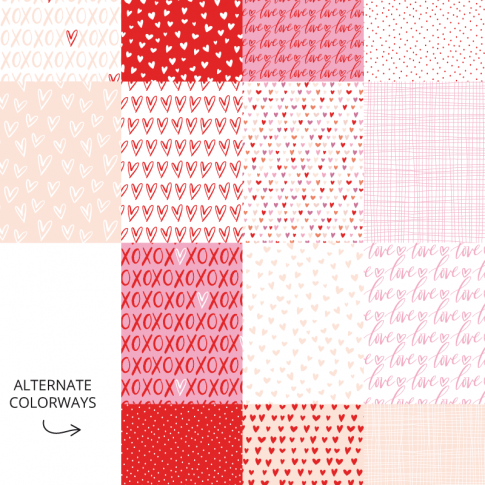 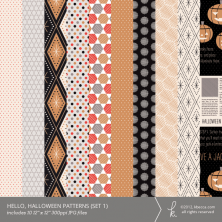 This sweet, love-themed collection of digital patterns includes 8 unique 12″ x 12″ high resolution (300 ppi) patterns in JPG format, plus alternate colorways for 6 of the patterns. Also included are high resolution (300ppi) PNG versions of the patterns in black with transparent backgrounds, created with diy hot foiling in mind. 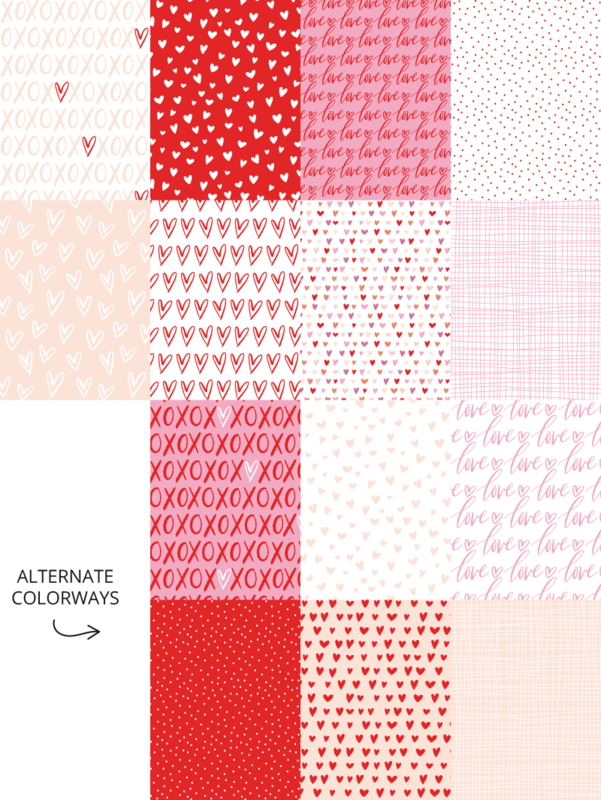 Vector files (Illustrator 10 compatible EPS + CS4 AI) are also included with certain licensing options (see details in the dropdown below).